It is considered not only a pilgrimage site, but also known for its tranquility and picturesque beauty. 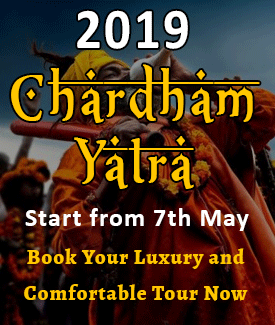 It is also the take-off point for char Dham Yatra comprising of Yamunotri, Gangotri, Kedarnath and Badrinath. 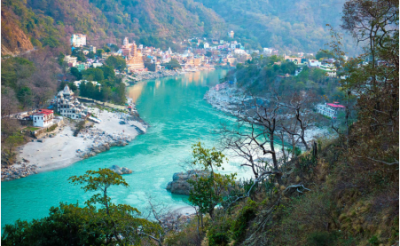 One of the holiest cities in India, It is here that Ganga meets river Chandrabhaga. 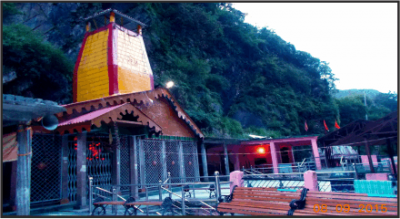 It is believed that Raibhya Rishi gave it the name who saw the divine power Lord Vishnu here. 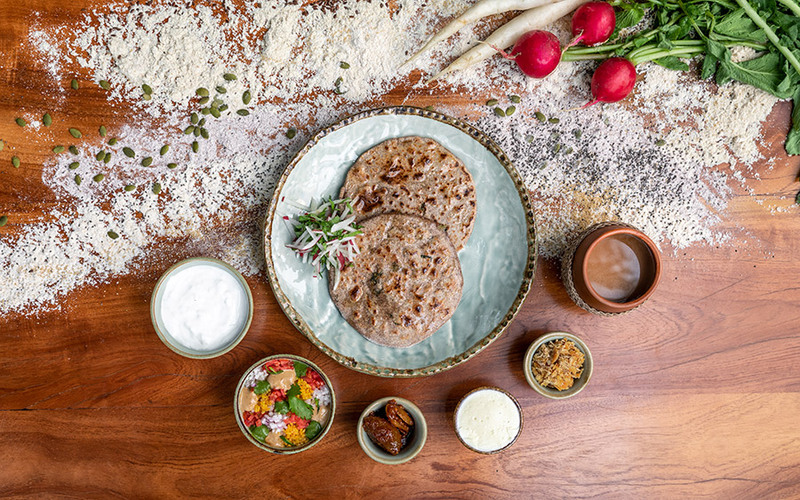 In Skanda Purana the region has been mentioned as Kubjamrak. 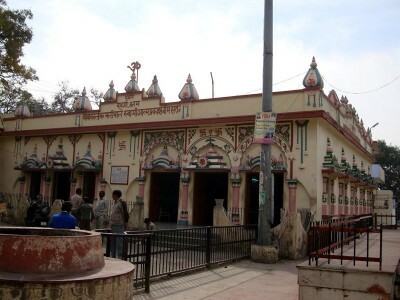 According to Hindu mythology, Lord Rama did penance here for killing Ravana. 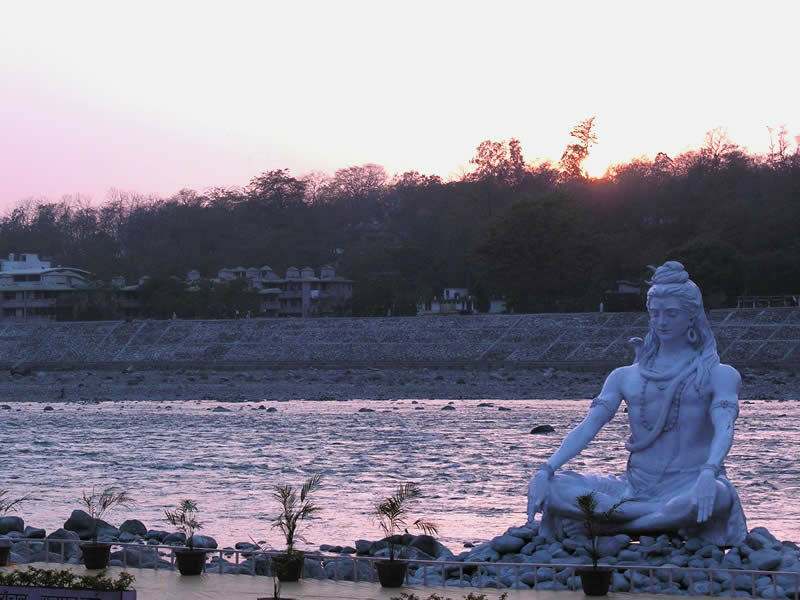 Historically, Rishikesh was a part of the ancient Kedarkhand (or the modern day Garhwal), the supposed home of Lord Shiva. River Ganga is quite clean and cool here, and it's flow is fierce. 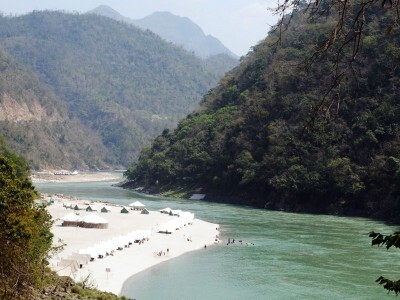 It has many ashrams on the banks of Ganga, where Yoga is taught and practiced regularly. 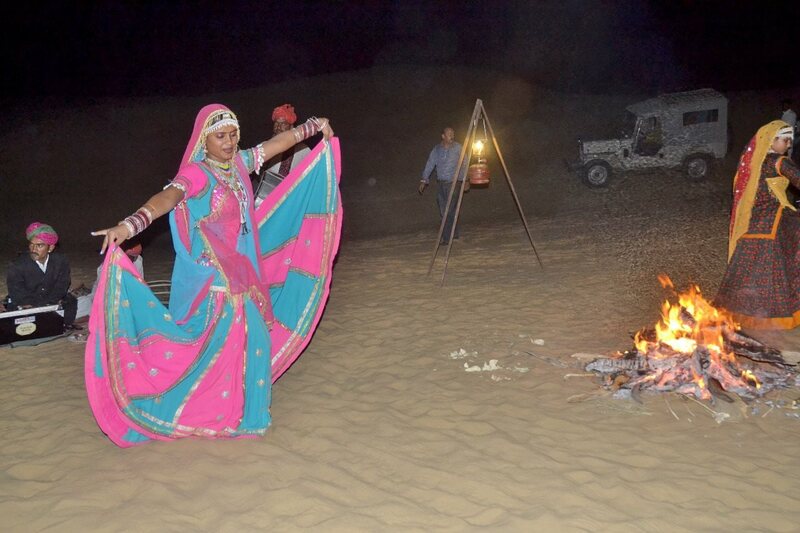 Many foreign tourists in search of peace and seeking calmness also participate in such sessions. The International yoga week (2nd Feb to 7th Feb every year) attracts visitors from all across the world. 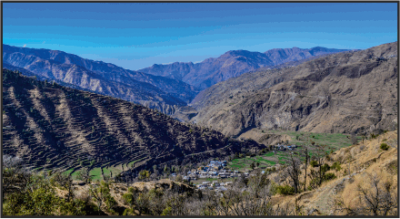 The Shivalik range of the Himalayas surrounds the place from three sides. 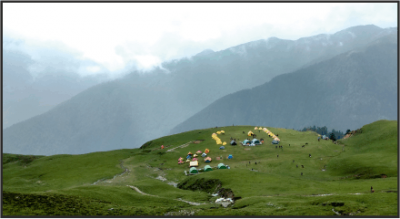 It is an ideal location for people who love nature and peace. 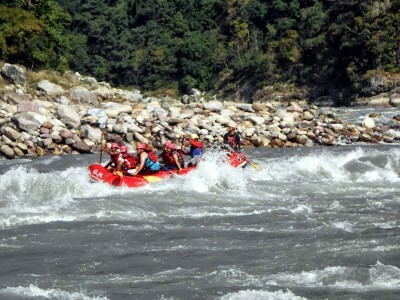 Now-a-days, many youngsters opt for Rishikesh as their holiday destination and they try lot of adventurous sports such as Canoeing, Trekking, Rock-Climbing, Mountaineering, Camping, skiing and river rafting here, after taking dip in holy river Ganga. It is just 24 km away from Haridwar. 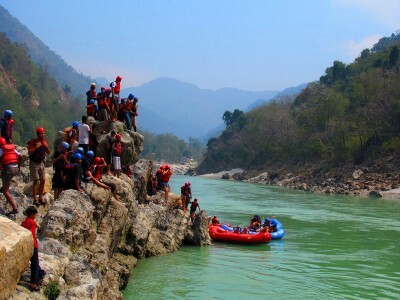 10 km upstream from here is Shivpuri, the site for river running and rafting on the roaring Ganga. 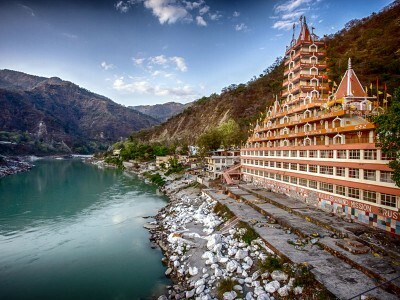 About 245 km from Delhi and 43 km from Dehradun, Rishikesh is a small town with an area of just over 11 sq km situated 1,745 feet above sea level in Dehradun district of Uttarakhand. 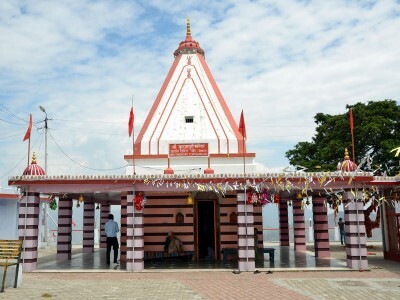 Bharat Temple: - Located in the centre of Rishikesh, it is the oldest temple there and is approximately half kilometre away from the Triveni Ghat. 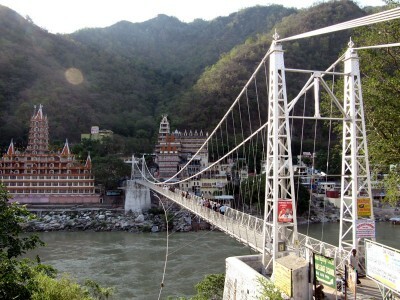 Laxman Jhula: - 450 feet length, Lakshman Jhula is situated at a height of 70 feet from the river. According to Hindu Mythology, Lord Rama's younger brother Lakshman, crossed river Ganga on a jute rope. Later, on a jute rope the bridge was built. 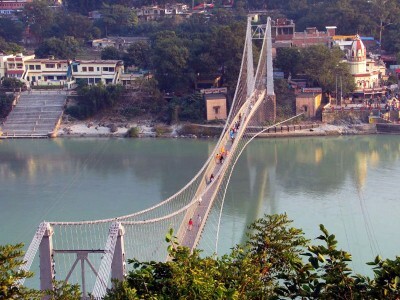 A similar bridge 2 kilometres (1.2 mi) downstream from Lakshman Jhula is Ram Jhula. Neelkanth Mahadev:- Enclosed between the valleys of Manikoot, Brahmakoot and Vishnukoot, and adjacent to the mountain ranges of Nar-Narayan, is an ancient temple Neelkanth Mahadev. 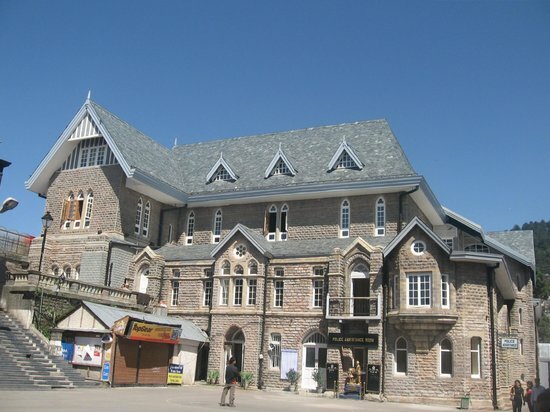 It is situated at a height of 1675 metres on a hill above Swarg Ashram. 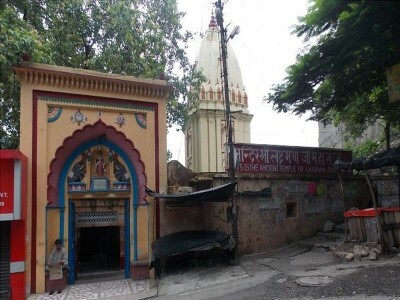 Swarg Ashram: - Run by a trust called ‘Kali Kamliwala Kshetra’, Swarg Ashram comprises of several temples and numerous shrines, each of them depicting a number of Hindu deities. Every temple is headed by a priest who takes care of the shrine as well as the residing crew. 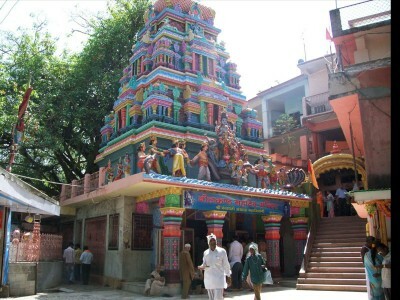 Kali Kamliwala Kshetra trust has been organized by the followers of Swami Vishudhanand. 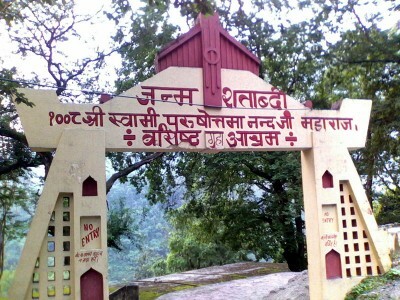 Swarg Ashram is very popular amongst foreign tourists for ‘Yoga tours’ and ‘a study of Ayurvedic medicines’. 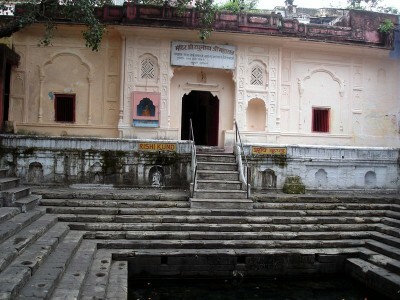 Muni-ki-Reti:- The area around the Chandrabhaga River has a cluster of temples. 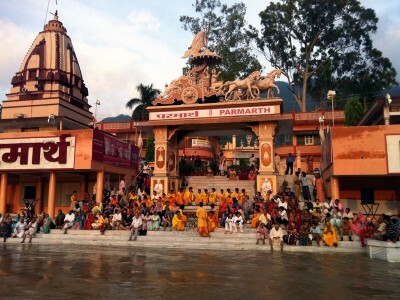 Triveni Ghat: Every evening an Aarti is performed at this bathing ghat. They also offer milk to the river and feed the fish in its waters. 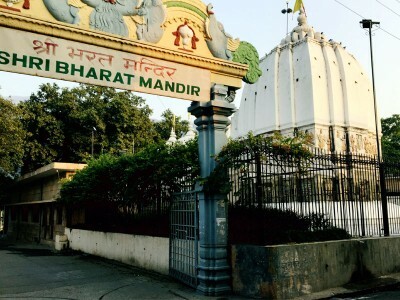 Gita Bhavan: Situated just across the Laxman Jhula, this Bhavan has many beautiful paintings and statues from the Hindu mythology. 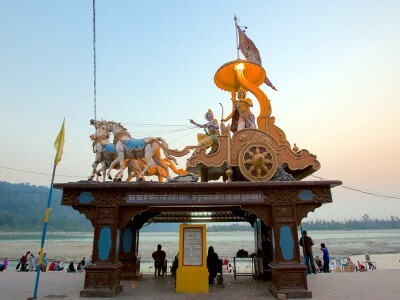 Rishikesh can be reached easily from anywhere across India. 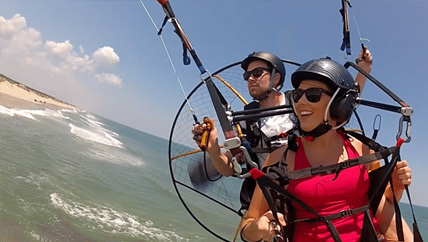 If you are planning to travel by air, then Jolly Grant Airport at Dehradun is the nearby airport from Rishikesh. 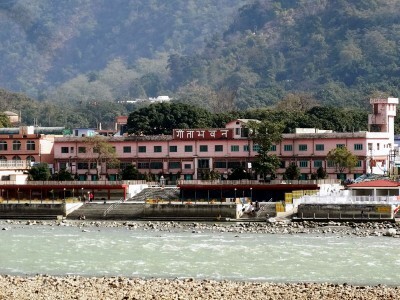 If railways is on your mind, then most of the trains terminate at Haridwar, from where Rishikesh is easily accessible by bus or tourist taxis. 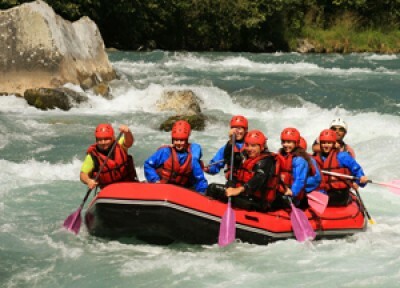 Reaching Rishikesh by road is also full of fun. Delhi: 238 km, Dehradun: 42 km, Haridwar: 24 km, Mussoorie: 77 km, Yamunotri: 288 km, Uttarkashi: 154 km, Gangotri: 258 km, Kedamath: 228 km, Chandigarh: 252 km and Badrinath: 301 km.